Looking for a USED MCV-AII16X20? 187" x 236" x 173"
The MCV-AII delivers smooth performance with the speed and power you expect from an Okuma double column machining center. 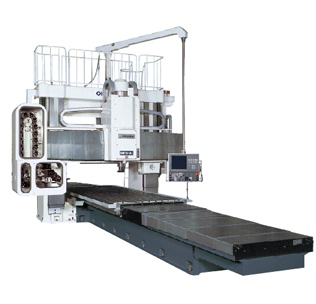 This machine is perfect for streamlined machining of medium to large parts from heavy duty cutting to fast finishing. The direct (gearless) spindle drive means less noise for better work environment and less vibration for longer tool life. Standard spindle cooler delivers consistently high accuracies while the solid double-column construction ensures flawless precision and rigidity. Looking to Purchase a New OKUMA MCV-AII16X20?